Before the chicken pox (varicella) vaccine was introduced in 1995, kids could count on experiencing the illness as a kind of childhood milestone — the virus is super-contagious and spreads around quickly once someone comes down with it. That's where chicken pox parties — where parents intentionally expose their children who have never had chicken pox to another kid with the virus — come in. But now that we have a vaccine, are chicken pox parties still a thing? Are they helpful or dangerous? We talked with doctors to find out what current recommendations are and why (or whether) a chicken pox party is a good idea. Chicken pox, of course, causes a very itchy, bumpy rash that looks like tiny blisters (sometimes appearing all over the body), and it also often causes a mild fever according to Healthychildren.org, a publication of the American Academy of Pediatrics. One of the challenges during a chicken pox infection is keeping kids from scratching the rash, which is no easy task, as it's extremely itchy. While it's usually a mild illness overall with no lasting effects (aside from some scarring in some cases), that's not always the case. Before the vaccine was licensed in 1995, around 12,000 people were hospitalized each year as a result of the infection and around 100 people died every year. Before the vaccine came around, most kids got chicken pox by the age of 9. The Centers for Disease Control notes that complications are more common in certain people, including infants, adolescents, adults, pregnant women and those with a weakened immune system. However, sometimes even healthy children and adults will develop serious complications. In some cases, it can even be fatal. 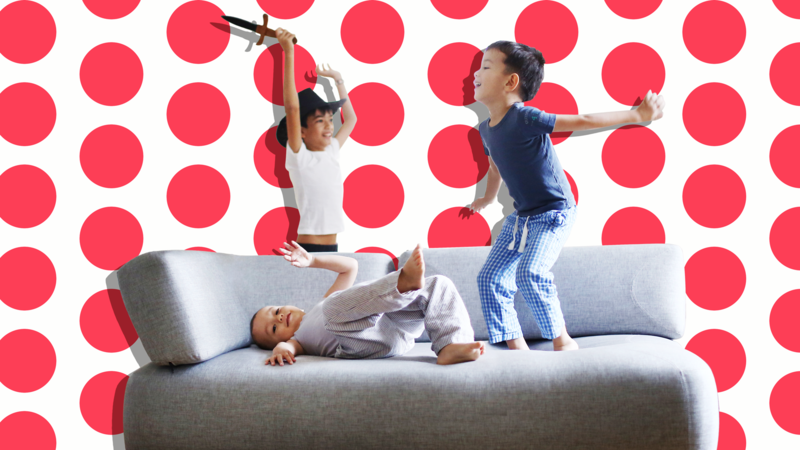 What the heck is a chicken pox party, anyway? Basically, once one kid develops the virus, other parents would gather them all together in hopes that the rest of the kids catch the disease. Dr. David Rivera tells SheKnows, "I'm an OB-GYN, 64 [years old]. We had chicken pox parties when I was a kid because there wasn't a vaccine, and we were all going to get it anyway, so the path of least resistance was to infect a bunch of kids at the same time." Since the appearance of a vaccine, however, chicken pox parties are less common, although they still happen, especially among those who have chosen not to get the vaccine. "Parents of unvaccinated children may erroneously believe that chicken pox is always a benign disease and knowingly expose their child to it," Dr. Amesh A. Adalja, a physician and senior scholar at Johns Hopkins Center for Health Security, tells SheKnows. That being said, is it better to experience a disease and develop immunity to it that way? Or is a vaccine a better way to go? Unsurprisingly, all the docs we talked with shared a resounding no when asked if chicken pox parties were a good idea. "Chicken pox is an eminently vaccine-preventable disease in the modern era, and it is part of the routine childhood vaccination schedule in the U.S.," Adalja says. "Chicken pox parties are wrong on many levels and represent a return to the primitive." Similarly, Dr. S. Daniel Ganjian, a pediatrician at Providence Saint John's Health Center in Santa Monica, California, does not advise patients to attend these gatherings. "These parties are definitely not recommended since there are risks to developing chicken pox," Ganjian says. He recognizes that while most kids will recover, there are potential complications, and even those who don't experience those complications will experience the itching, sleep difficulty, fever, potential scarring and missing a whole load of school days. "Why have your child suffer and put them at risk for developing complications when there is an easy, research-proven solution that is much safer?" he asks. Another pediatrician, Dr. Gina Posner from MemorialCare Orange Coast Medical Center in Fountain Valley, California, calls chicken pox parties "ridiculous and risky" in this day and age. "There simply is no reason to put your child at risk when you can immunize them," she adds. Along the same lines, Dr. Charles I. Shubin, a physician at Mercy Medical Center in Baltimore, notes that the practice of chicken pox parties dates back to before the vaccine was available and "has no current value." According to Dr. Stuart Spitalnic from Brown University, a lot of it comes down to misinformation. "There has always been a small but real risk of getting real sick with chicken pox and also spreading disease to people in whom it can be fatal," he tells SheKnows. "A lot of poorly informed people assume natural is always better, but dying from an infectious disease is perfectly natural." It's clear that doctors feel that the vaccine negates the perceived need for a chicken pox party considering that complications are a possibility of contracting the disease itself. And as with any vaccine, the one for chicken pox doesn't come without potential minor side effects like a sore arm, fever or redness at the injection site, which are common minor effects that can pop up within two weeks. There are more serious potential side effects that can include seizures (often associated with fever) as well as side effects that can happen with the infection itself, including pneumonia and meningitis. The doctors we spoke with (and the general consensus of medical professionals) is that the very small risks of vaccine side effects shouldn't deter parents from opting for the vaccine — and opting out of chicken pox parties.